Each feather-covered wing measures 24" x 16"
Are you ready to take flight this Halloween? Well, that can be accomplished easily with this pair of Small Maleficent-Inspired Feather Wings! You’ll look hauntingly elegant with these bad boys strapped onto your back. People won’t know whether they should look away in terror or stare in awe when you enter the party scene while wearing these beauts. They will be a great start to a number of multiple costumes or even the perfect finishing touch. 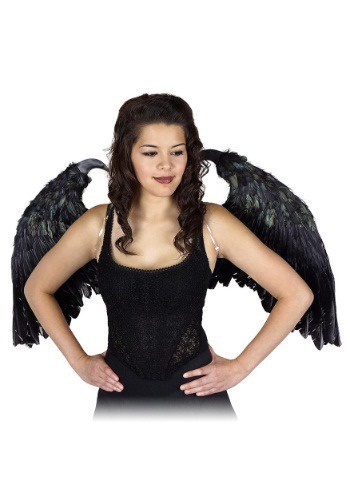 Want to go out as a fallen angel this year? Did you have your hopes set on bringing a mystical enchantress to life? Maybe you want to dress up as a sassy crow? 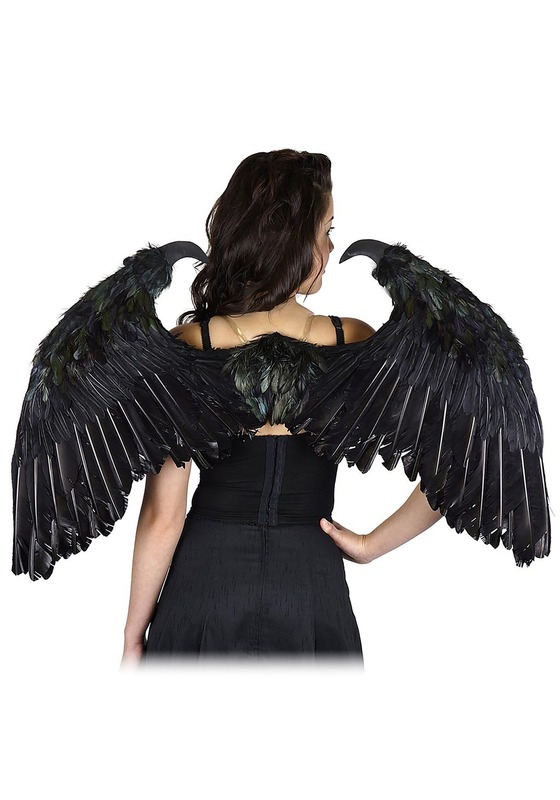 Hey, we don’t judge, we just love to make sure everyone has the best Halloween possible and we honestly think that these black feather wings are a necessity to accomplish that. So grab this majestic accessory and get ready to soar to the top of everyone’s “best costume” list!